Upgrading your speakers? Fixing a rattle? 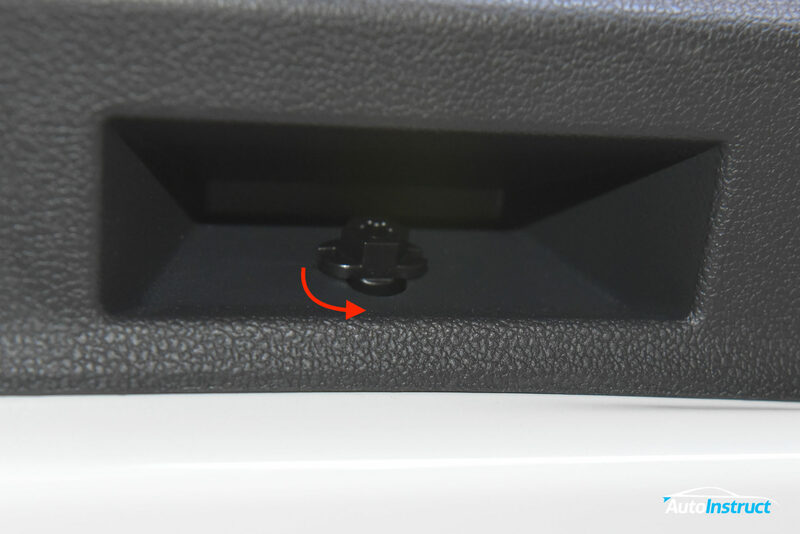 This tutorial will show you how to remove the front door card on your MK2 Tiguan. This guide is applicable for both Driver and Passenger doors. Red Circles – Push-Pull Clips. These are simply ‘pulled’ on to release them. Orange Square – Slide Clip. When removing the door card we need to slide it upwards to release. Green Hexagon – Twist Clip. Simply rotated 90 degrees to release the door card. Plus two bolts which are outlined in the following steps. 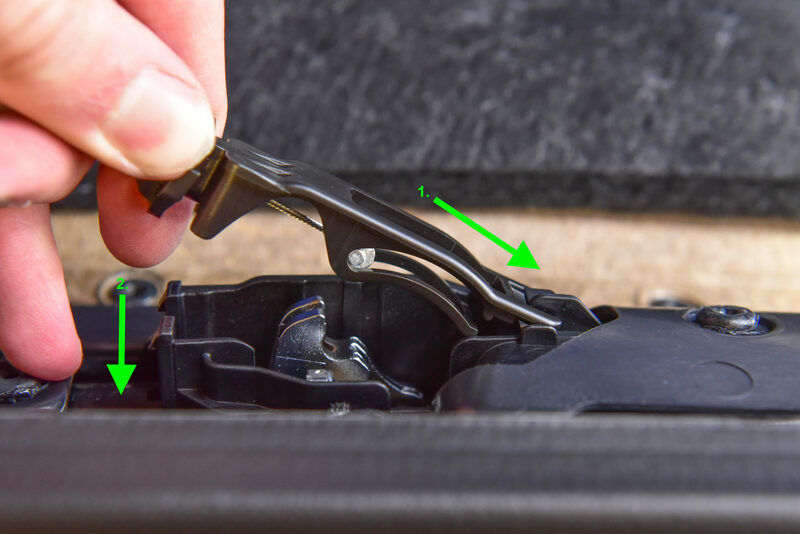 Using a Torx screwdriver, remove the first bolt as circled. Next, release the plastic cover on the door handle with a trim removal tool. There is a small cutout as shown by the arrow. 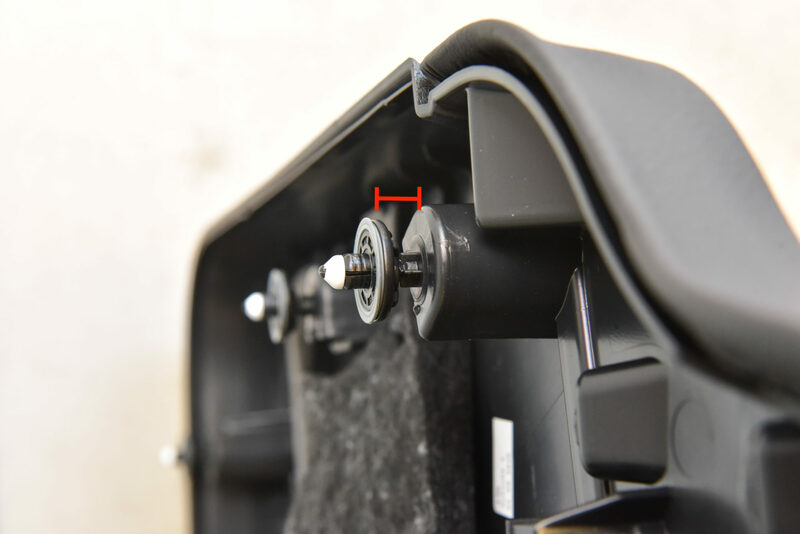 Remove the Torx screw located under the handle cover. Looking at the underside of the door card, rotate this clip 90 degrees. 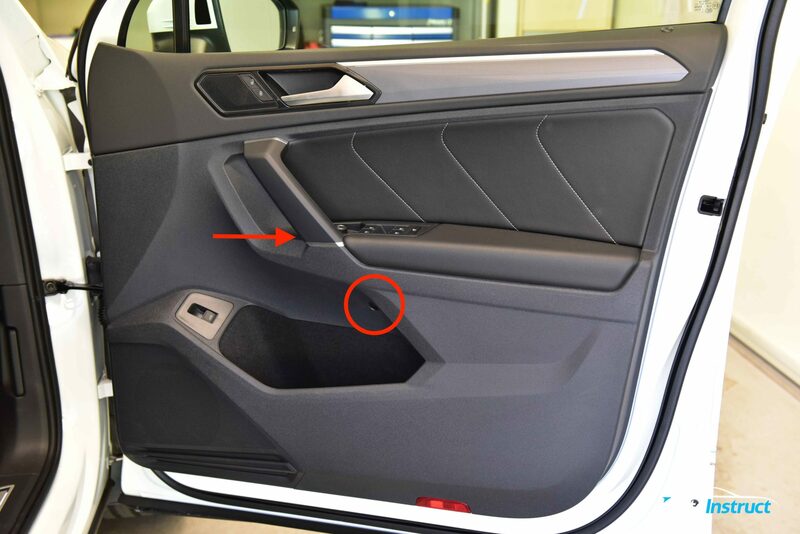 Using your hands and trim removal tools, work from the bottom of the door and start to release the push-pull trims circled in Red. You need to pull very firmly to release the clips. When you reach the last clip outlined in orange, begin to slide the trim upwards to slide it out of the clip. Lastly disengage the trim for the windowsill, which requires a firm lift upwards. 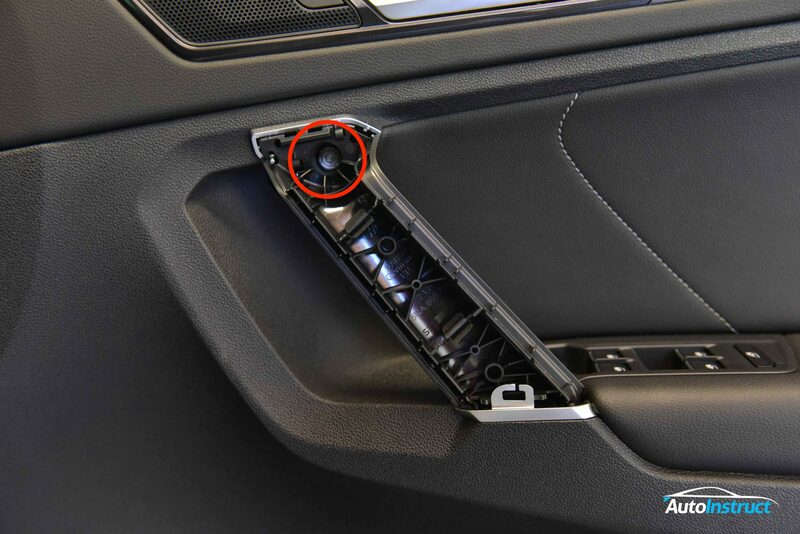 With the door card loose, you need to unplug a series of wiring clips, which will vary between passenger and driver doors, as well as vehicle trim specification. Next release the door lock cable by pushing the tab across and lifting outwards. Here you can see the inside of the door trim and the associated clip locations we just released. 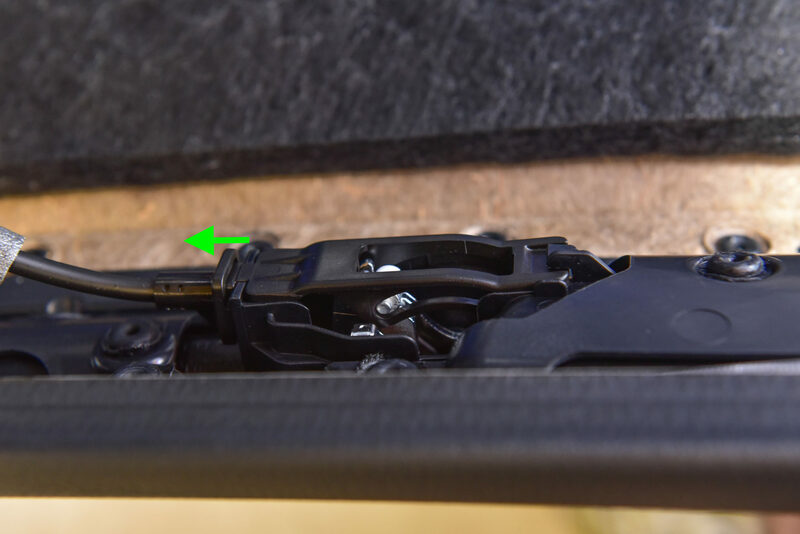 Before reinstallation, ensure all clips are in the current position, with a gap as shown. Reconnect all wiring looms and the door lock cable. The cable slides into a slot as shown then clips down into position. Next, simply hook the door card onto the window sill, it is generally a very firm fit and takes some attempts to seat correctly. Then firmly push down across the door card making sure every clip ‘clicks’ in correctly. Lastly, rotate the hexagonal clip another 90 degrees to secure the bottom of the door.